The road to hell may be paved with good intentions, but the road to amazing Deep Space Nine podcast episodes is paved with WINE. 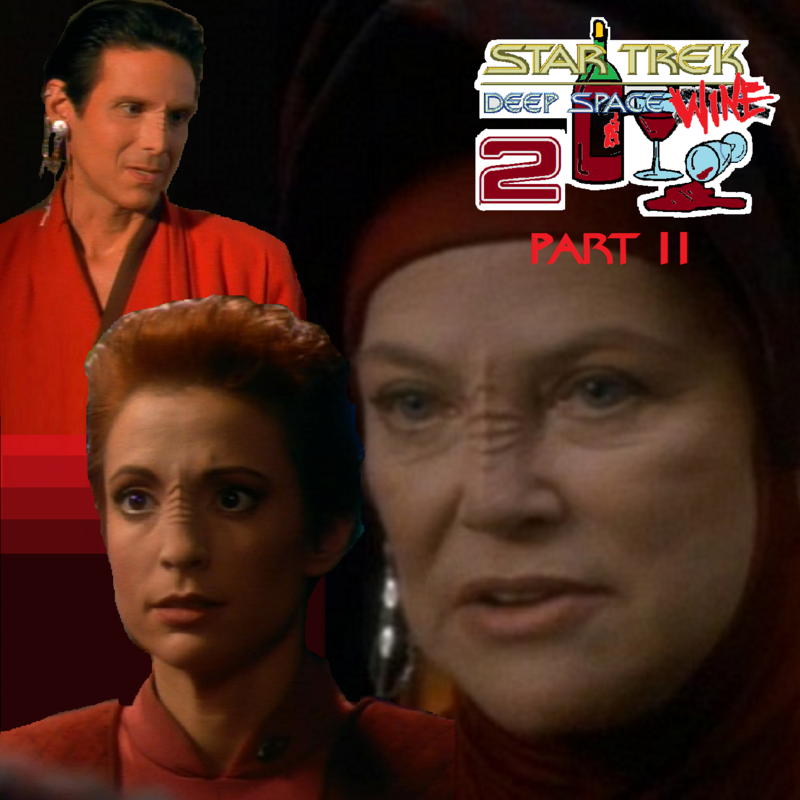 And so, episode two of Deep Space Wine Part II commences and we crack open another couple bottles to discuss The Collaborator, a heavy tale of Bajoran religion and politics and choosings. Along the way, we gush about Winn, fawn over Bareil (and his hot bod) and debate stupid common phrases. Add in a dash of Star Trek: Discovery speculation and you got yourselves another GOSH DARNED CLASSIC.